Apple has released iOS 8 for the public now. Not only those who have purchased iPhone 6 & iPhone 6 Plus but also who already have iOS 8 compatible devices like iPhone 5s, 5c, 5, 4s iPad 2, 3, 4, iPad Air, Mini also iPod Touch 5th generation can work with new features of iOS 8. There is no doubt it will bring you to awesome experience never before. But not enough, after that everyone wants to install Cydia for their iPhone, iPad and iPod Touch which are running on iOS 8. You know there is no way to get Cydia for your device unless, jailbreak it. That’s why i8device users search for jailbreak iOS 8. We can highlight this as a rule for Cydia, if you want to install Cydia – jailbreak fist. For iOS 8, we thrust tethered jailbreak than the untethered jailbreak first. It’s mean tethered jailbreak better than the untethered one? No really no, the better one is untethered jailbreak. There is no any doubt. We only say (expect) it will come tethered jailbreak as first for iOS 8 before the untethered jailbreak. Why we say like that? Because; it is easy to jailbreak iOS 8 as tethered than untethered. Please don’t forget, we talk about the major version of iOS and it is new one for iOS hackers. We expect there are so many security gates added for the new iOS 8 by the Apple as well as the amazing features. Untethered jailbreak : This gives user to ability to boot their device without aid of a computer. Ones you jailbreak your device with untethered jailbreak, it remains complete jailbreak state for every time you turn the device off & on without any issue. Tethered jailbreak : Need to use a aid of a computer for each time boot your device. This means, you turn the device off and on each time have to re-jailbreak it. If the device boot without a using computer it may get stuck at the start, hence your device . 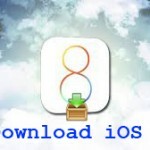 Semi-tethered jailbreak : This type of jailbreak gives a partial solution for problem of Tethered jailbreak. With Semi-Tethered jailbreak you can boot your device without using a computer for normal usage but it will no longer have jailbroken state. You must have to boot device with help of a computer to enable jailbroken mode of it.